In this article, Richmond Decorating – with convenient locations in Richmond, Glen Allen, and Newport News, Virginia (VA) – is here to tell you why carpeting is great for homes. 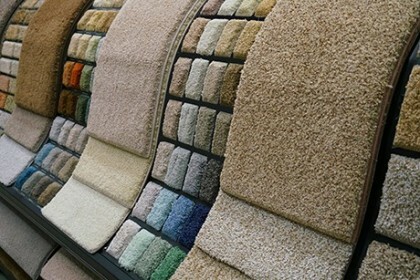 We proudly offer a wide selection of high-quality carpet brands, including Shaw, Masland, Stanton, Mohawk, and Karastan. While many homes are moving to all hardwood across the entire home, carpeting is still an option that many homeowners love. Providing personal design options, affordability, and a sense of welcoming comfort throughout your home, carpeting could be just the flooring option for you. At Richmond Decorating, with locations in Richmond, Glen Allen, and Newport News, Virginia, we want to show you why carpet is a great option for your home. The biggest benefit of choosing carpet over hardwood or tile flooring is the significant cost difference between the materials. Carpet, depending on the style and materials you choose, will most likely be almost half the cost of any other flooring material. While you may have to pay additional fees for carpeting cleaning every few months to maintain your carpet, the cost is still strikingly more affordable. Aside from the cost of carpeting being such a big draw for homeowners, the design and style opportunities that carpeting provides will be much greater than hardwoods and tiles. Because carpeting comes in such a wide range of styles, textures, colors, and patterns, you can transform the flooring in every room of your house into something incredibly unique. Rather than focusing all of your design elements on the walls with paint colors and décor pieces, you can design a room with your carpeting in mind, playing with fun colors and interesting textures on the floor as well as everywhere else in the room. Last, but certainly not least, carpeting is more comfortable than any other flooring choice. While not ideal for all rooms of the home, especially not in the kitchen, bathroom, or other damp or high-traffic areas, carpeting can provide a sense of warmth throughout the home in the rooms in which it is used. Because carpeting is so much more comfortable than other flooring materials, your home will feel more welcoming and provide a sense of warmth to anyone who enters. Family rooms, basements, and especially bedrooms are all areas where comfortable flooring will add to the function of the room and make the room feel more welcoming and useable. If you are considering carpeting for your home but still feel unsure about your choice, the experts at Richmond Decorating are here to help. Proudly serving Henrico, Manakin-Sabot, Midlothian, Mosley, and Chesterfield, Virginia, and with product showrooms in Richmond, Glen Allen, and Newport News, our team of design experts can help you find the best flooring to meet all of your needs. At our showrooms you will find beautiful carpeting choices from top brands like Mohawk, Beaulieu, Shaw Floors, Smartstrand, and Wear-Dated, all of which have a reputation for being of the highest quality and featuring the latest in carpeting technology. No matter what kind of flooring you choose, the experts at Richmond Decorating are here to help make the process run smoothly and efficiently. For more information about any of our flooring products, contact Richmond Flooring today!